Israeli soldiers abducted, on Wednesday at dawn, five Palestinians, including a legislator, and injured at least nine Palestinians, in the occupied West Bank. 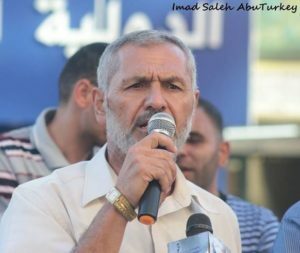 Dozens of soldiers invaded Ethna town, west of the southern West Bank city of Hebron, and abducted Palestinian legislative Council member and former political prisoner, Mohammad Abu Jheisha, after invading his home and violently searching it. The soldiers also invaded Teqoua’ town, southeast of Bethlehem, and searched several homes. In addition, several army jeeps invaded Nur Shams refugee camp, east of the northern West Bank city of Tulkarem, searched homes and abducted Mohammad Mahmoud al-Azab, 30, in addition to a former political prisoner, identified as Ala’ Yousef Shabrawi, 35. Furthermore, dozens of soldiers accompanied buses filled with illegal colonialist settlers, and headed towards Joseph’s Tomb, in the northern West Bank city of Nablus, before the army attacked Palestinian protesters near Balata refugee camp, east of the city. Medical sources said the soldiers shot two Palestinians with rubber-coated steel bullets, including one who was shot in the head, and caused at least seven others to suffer the effects of teargas inhalation. The soldiers also invaded homes in the Dahia area, in Nablus city, an abducted a young man identified as Ahmad Mansour. In Qalqilia, also in northern West Bank, the soldiers searched homes and abducted Ahmad Mojahed Radwan, 24. It is worth mentioning the dozens of soldiers also invaded the al-Am’ari refugee camp, south of the central West Bank city of Ramallah, and Betunia city, west of Ramallah. 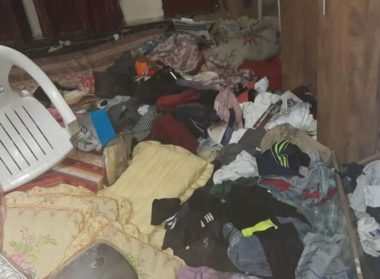 Also in Ramallah, the soldiers invaded the home of Mohammad Khatib, in Um ash-Sharayet neighborhood in al-Biereh city, and searched the property before confiscating his car’s key. In related news, many army jeeps invaded Deir Ballout town, west of Salfit in northwestern West Bank.